When a loved one has reached a point in their life when they need home health care, or if they were in an accident and need help during the recovery process, it can be an overwhelming and emotional journey. That’s why choosing the best in-home care is paramount in ensuring that everything goes as smoothly as possible and your loved one has the highest quality of life possible. 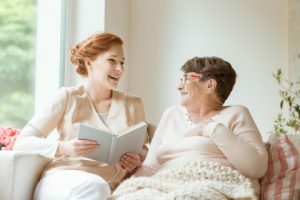 When choosing senior care or home care for anyone who is recovering from an accident, there are various things that need to be considered, including the services they offer, the cost, the staff, the location, and more. At Assured & Associates Personal Care, our Registered Nurses and Licensed Practical Nurses strive to provide exceptional care for each of our patients. We are dedicated to supporting everyone we work with and offering them the care and attention they deserve. Potentially the most important consideration, the services that a home health care company provides will determine what they can do for you. This does vary greatly depending on what your unique needs are, however, a service that offers a wide range of options will be more likely to give you what you need. Look to see what types of injuries they work with and what programs they offer, such as occupational therapy or help with preparing meals. If you need catastrophic care, look to see if they offer help for spinal cord injuries, amputees, and quadriplegics. Manny services also help with everyday tasks, such as bathing, assistance with medication, feeding, and more. At Assured & Associates, we want to help as many patients as possible achieve a greater quality of life. Whether your loved one has Alzheimer’s, needs help with a feeding tube, or simply needs someone to provide companionship throughout the day, we have highly trained and qualified staff who will be there to provide everything they need. Our home health care services can help people with a range of disabilities and ailments, but we also have on-site housing available. Our housing apartments are fully furnished and are close to off-site amenities, such as restaurants, shopping, and grocery stores. We understand that true healing can be made easier when our patients feel at home. Whether you choose for us to come to you, or for your loved one to come to us, we provide the same great treatment and rehabilitation services. Regardless of the services a home health care offers, if the staff isn’t qualified and experienced, the company isn’t right for you. Unfortunately, there are too many cases of patients being mistreated and care not being properly provided. 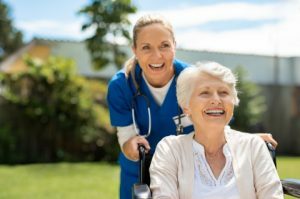 You can rest easy knowing that the nurses and staff at Assured & Associates will always treat your loved one as if they were a member of their own family, with respect and compassion. Our Registered Nurses have years of experience and education and we always provide opportunities for continuing their education in order to better serve our patients. We also complete background checks and look for specific training and education before we hire any of our nurses or staff. Working with an in-home nurse generally means that your loved one will be spending a good deal of time with them. Take some time to not only interview the company as a whole, but if possible, ask to speak with the nurses that may be taking care of your loved one. You also want to look for staff that will complement your loved one’s personality. This will be another step toward helping them feel comfortable in their recovery. Before you choose a home health care service, ask if they are licensed, bonded, and insured. There are also other certifications and accreditations that a service can receive upon certain qualifications. This is a simple step to ensure that your loved one and the company themselves are protected from any unforeseen events. Create clear expectations regarding when and how often you will be contacted about your loved one’s care. There are HIPAA regulations that prevent information from being provided to certain people, however, so be clear about who is and who isn’t able to receive notifications. When a line of communication is established, be sure that you have a specific person you can be in contact with about any medical changes, irregularities, or changes in health. The easier it is to communicate with a company, the better you will be able to monitor your loved one’s care and the company themselves will be able to reach you when necessary. Do you visit a patient’s home before starting services? Do you work with a doctor to develop a strategy for recovery? Will the same nurse work with my loved one all the time? Or is it different nurses? Can we request a different nurse if necessary? Do you have references we can speak to? Are nurses supervised to ensure proper care is being provided? How do you manage complaints or issues or mistreatment? How do you evaluate your nurses and caregivers? 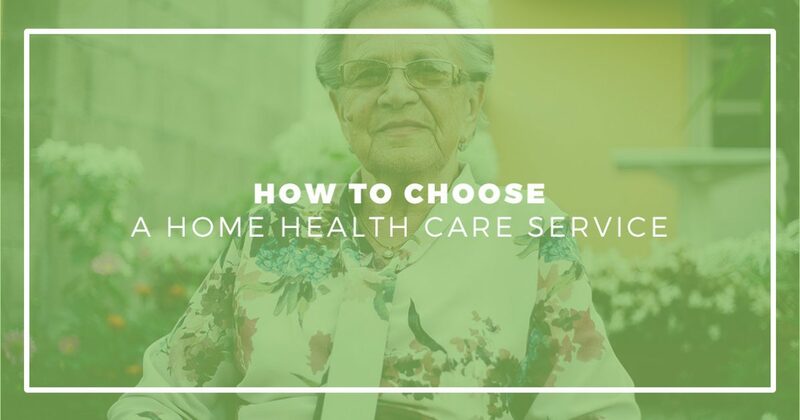 Choosing a home health care provider is a big decision and one that shouldn’t be chosen lightly. We understand that there are other services provided in the Douglasville area, but we believe that we can provide the best care for your loved one. If you want to learn more about Assured & Associates Personal Care, please get in touch with us today. We look forward to helping your loved one regain their independence.